Most of the public comments about this, at least those that I saw, were nothing less than sanctimonious garbage. After all, there are a lot of killers in this nation, as evidenced by the fact that more than 60 million preborn babies are dead. Perhaps the only difference between Russian “killers” and our own is that, here in America, the killers are defined as medical professionals who provide a reproductive health service to their customers. Chilling but true. “We do have to do an ultrasound with an abortion, but we don’t offer them for—we can’t do anything to make sure that the pregnancy’s fine,” says a Planned Parenthood employee in St. Louis, Missouri. 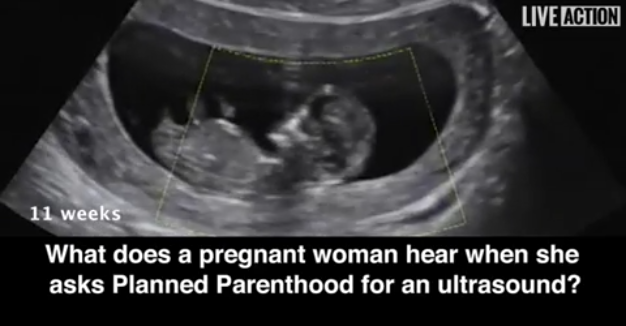 The end game for Planned Parenthood is that sonograms are used specifically to assist in the commission of an abortion that renders the child dead. Planned Parenthood is not in the affirmation of life business; it is in the ending of life business. Lila Rose, founder of Live Action, has uncovered another in a long line of ugly truths about Planned Parenthood’s abortion business: Quotas rather than babies matter! In addition, Live Action has captured documented evidence that Planned Parenthood uses incentives to lure expectant mothers into its chambers of horror because its affiliates are under constant pressure to keep the revenue stream up, even if it means encouraging women who might not be thinking of aborting their children to do so. Trump is right. There are a lot of killers in America.